I believe in all aspects of health & wellness We all can Become more aware of our body and willing to listen your voice of strength within. Have fun, be healthy and Enjoy life. 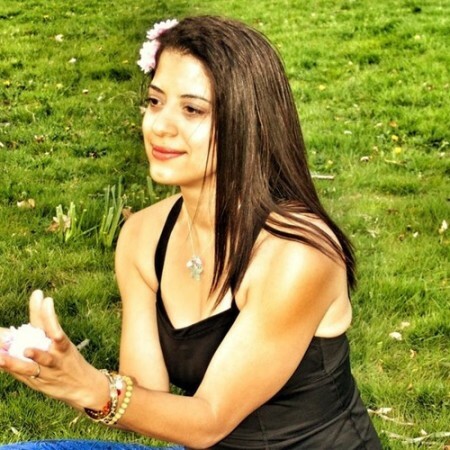 Damaris Maria RN, 200RYT, Certified Yoga Nurse, has been blessed to find yoga in 2006 when she was struggling with transitioning from the military of over 5 years in the US Navy during Global War on Terrorism. She has vowed a life of nonviolence and to be a part of better change in the world from a battle warrior to a peaceful warrior of the heart. In her classes she brings compassion, softness of for you to find your own strength within. Her classes are designed for expanding the consciousness of healthcare through yoga. She says in class be free of all expectations in life because each one of us has the gift to practice yoga. When you come to her class, you will come to breathe, de-stress, and for strengthening your mind, body, and sprit. She has studied Power Vinyasa Yoga with her teacher Jody Domerstad Erin Barry , Garden State Yoga and Anayara Calderon Yoga in the World. She is grateful to Kula for Karma, Nancy Candea for training in Yoga for Trauma, Addiction,& War Veterans PTS. She continues studies with Annette Tersigni-Yoga Nurse with integrating Healthcare Yoga Nursing into the world. She has started Health Connections Yoga, Nurse Advocacy Services through yoga. In progress, academic studies with integrative medicine of Family Nurse Practitioner of Doctor of Nursing at Rutgers University. Her influences are her loving husband Phil, Dr. Cindy Sickora MSN , Dr. Sarah Arnold MSN, Dr. Timothy McCall , Gandhi, and Mother Theresa .